When it comes to Halloween, I like to keep things simple and quick. 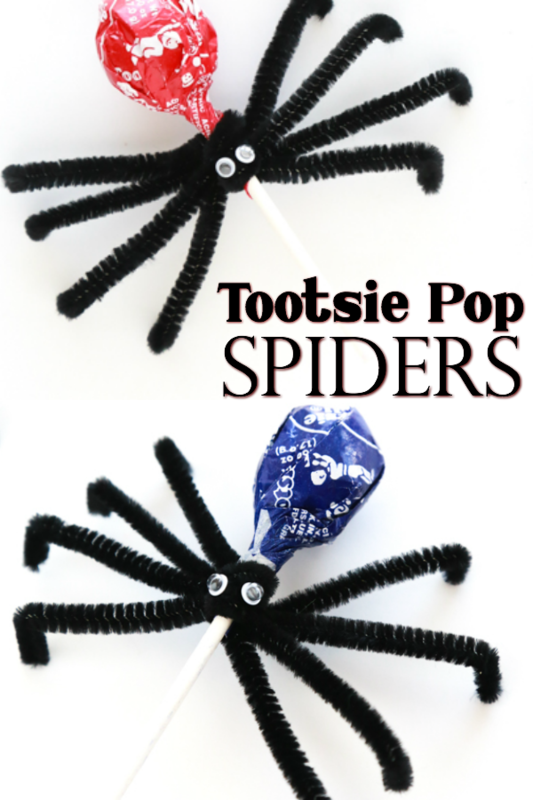 These Tootsie Pop Spiders are both! 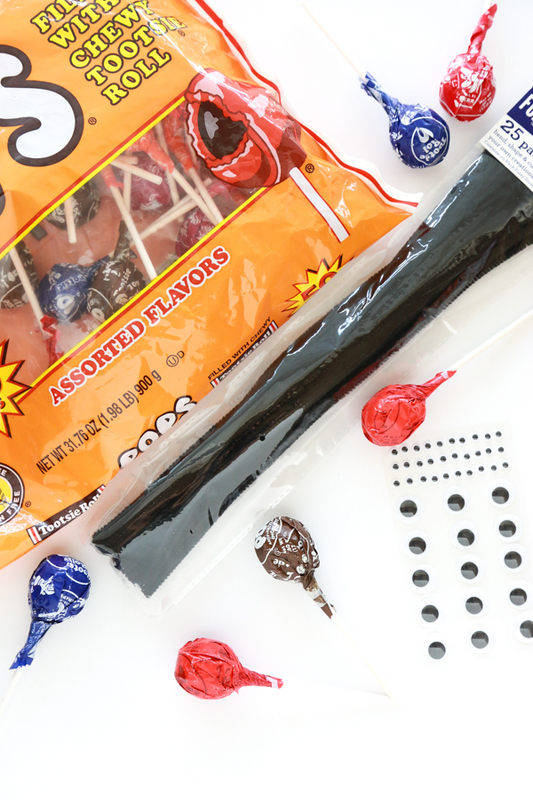 They’re the perfect Halloween party favor. 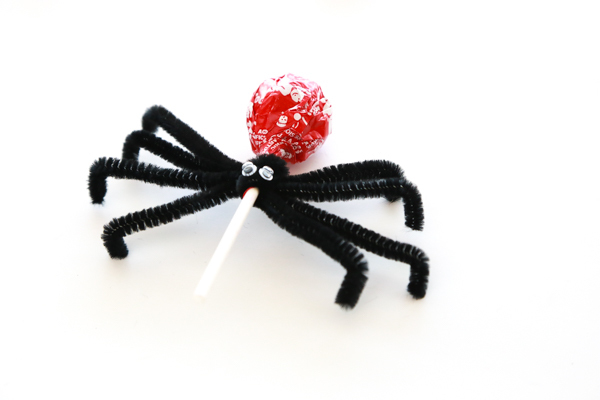 Over the years I’ve shared some really fun + simple Halloween treats, but these Tootsie Pop Spiders are some of the easiest. 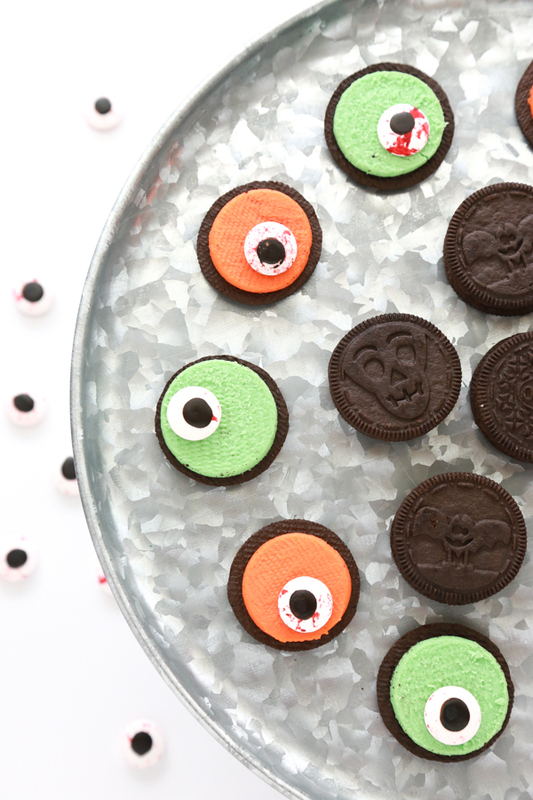 They’re so easy to make and they’ll definitely be a hit at your Halloween parties. Sometimes life has a way of making you feel like everything around you is spinning and that there is no way to get everything done. I get it. I really do. That’s the reason I keep things simple and quick. I know Halloween is approaching really quickly and you’ll probably have to plan for school parties. 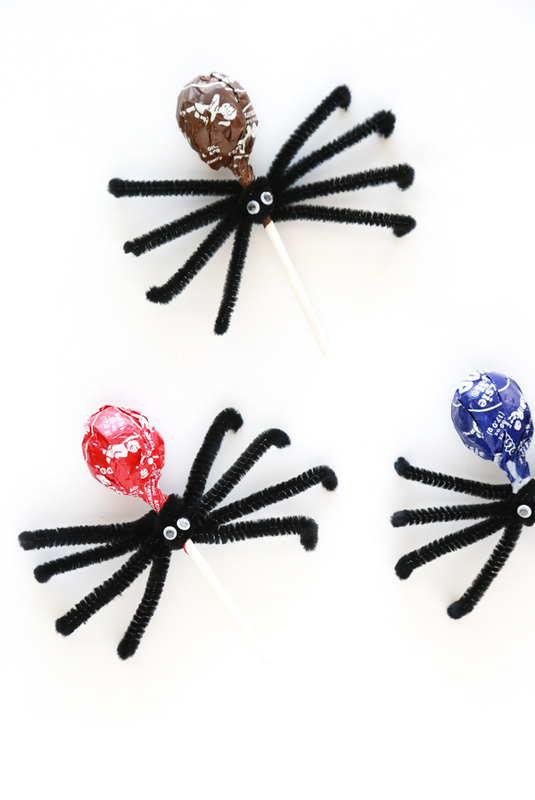 These Tootsie Pop Spiders are exactly what you need to help ease the burden. 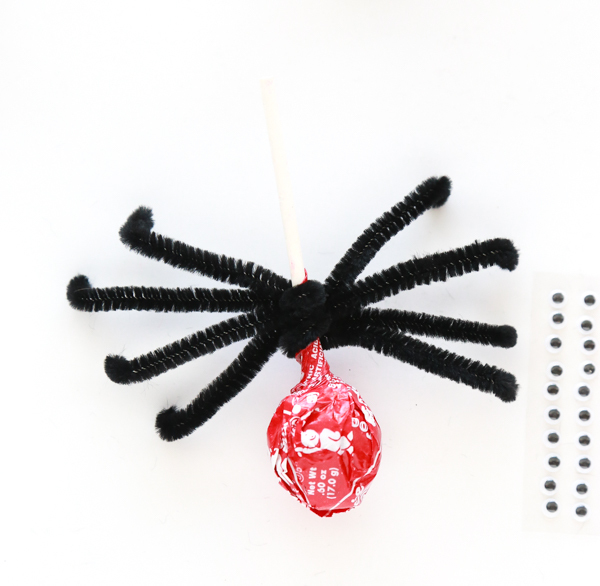 You can assemble these cute little spider favors in under a minute each. 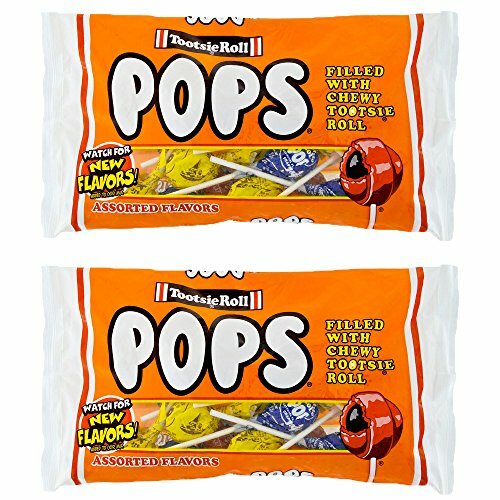 Tootsie PopsBuy Now! Pipe CleanersBuy Now! 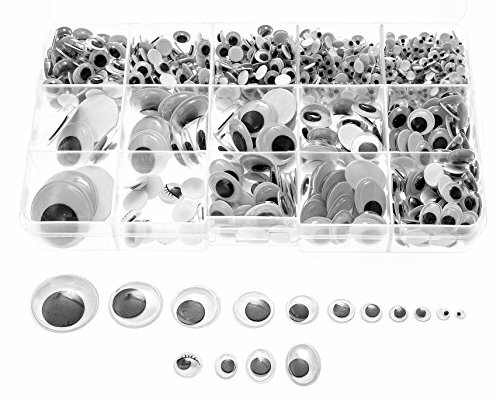 Googly EyesBuy Now! I mean, look at those little spiders. Aren’t they cute in a spooky way? 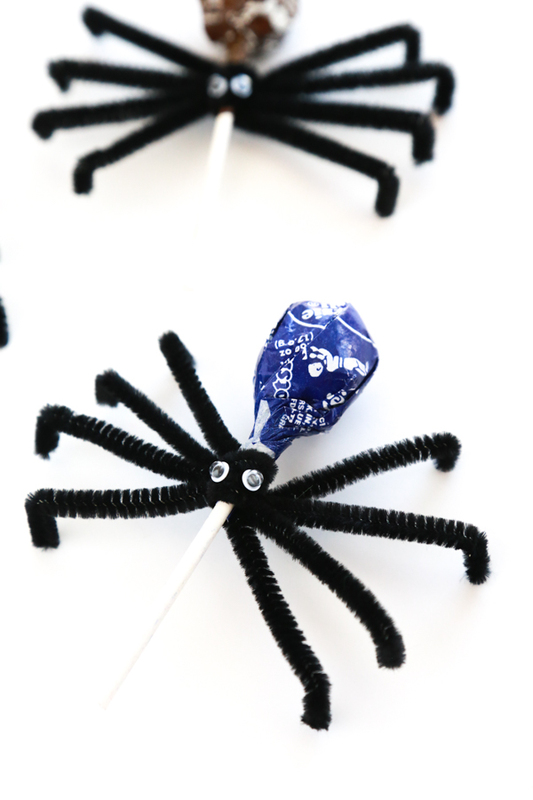 To make these Tootsie Pop Spiders you need just 3 supplies. So not only are they super adorable, they’re super affordable. I’m totally down for easy and affordable. Scroll down for a printable tutorial. 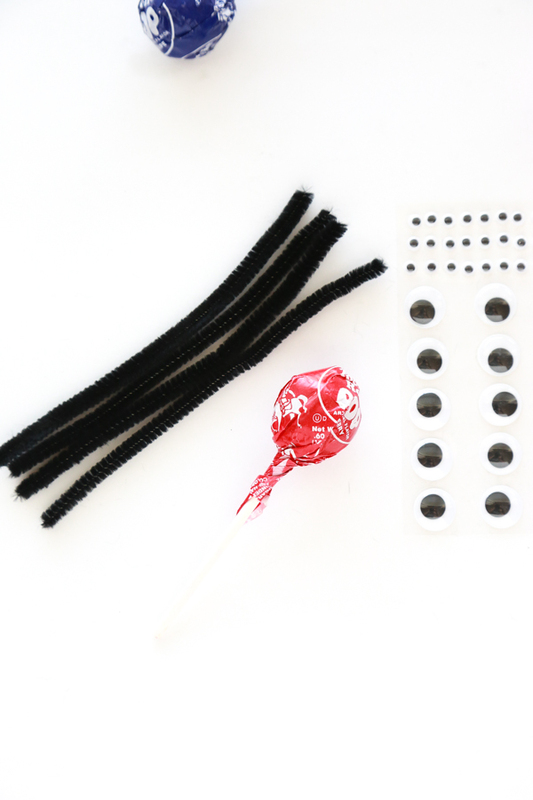 You’ll need one Tootsie Pop, two pipe cleaners and two googly eyes for each Tootsie Pop Spider. To start, cut the pipe cleaners in half. Each pipe cleaner should be 12 inches long so cut on the 6″ mark to make sure that they’re all the same size. Place 4 pipe cleaners together and make sure they’re all even. These will serve as the spiders’ legs. Then, set a Tootsie Pop a little off center on the pipe cleaners. 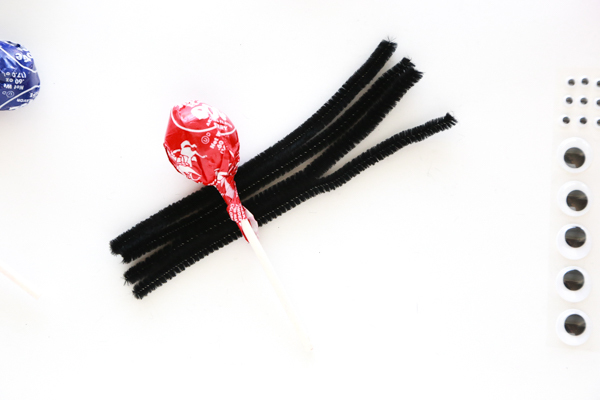 Wrap the longer side around the stick of the Tootsie Pop and twist just a little to tighten. Spread out the “legs” evenly and then make a L-shaped bend at the end of each leg. Note: The first one is the hardest. After you get the hang of it you’ll be assembling these in no time. Next, give the spider eyes by placing two googly eyes on the top of the spider’s body. If you can’t find the adhesive googly eyes, pull out the hot glue gun and place a dab of hot glue onto each eye to adhere to the spider. 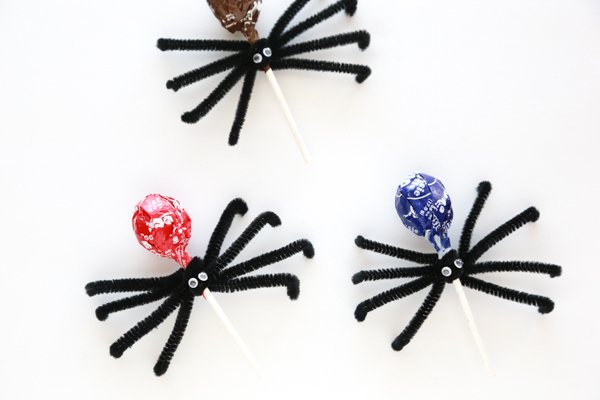 Aren’t these little Spider Tootsie Pops so cute? 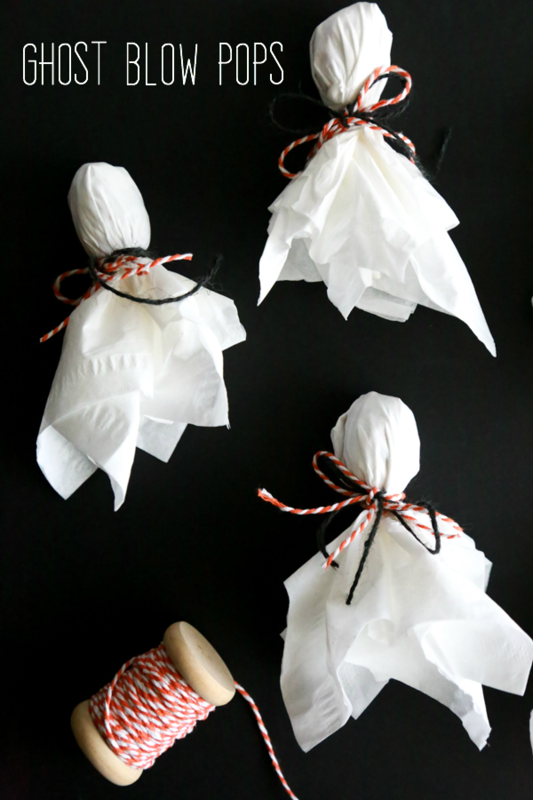 They’re perfect to send to school with the littles or as decorations on your Halloween tablescape. Don’t forget to pin these adorable little spiders to your favorite Halloween board on Pinterest. 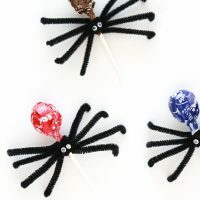 Yield: As many Tootsie Pop Spiders as you want. 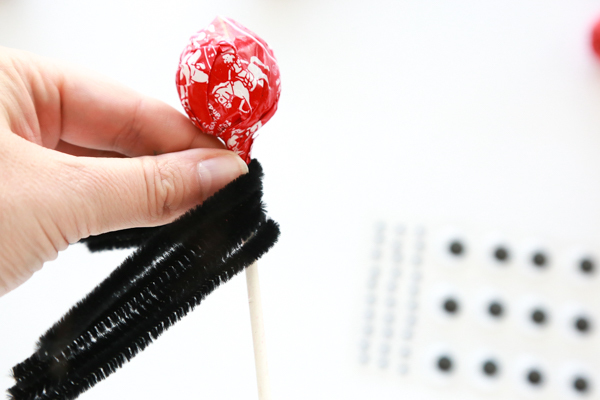 Turn a Tootsie Pop into a spooky adorable Halloween favor this Halloween.